It is well known that smoking increases the risk of lung cancer, by up to 80 times according to some research. However, some non-smokers also fall victim to lung cancer. According to the Dongnam Institute of Radiological and Medical Sciences, around 20,000 people get lung cancer in Korea every year. Among them, around 15 percent are non-smokers. It added that the ratio of non-smoking lung cancer patients in the United States is similar to that of Korea. Then why do those non-smokers get lung cancer? “There are environmental factors such as second-hand smoking, diesel exhaust, radon, asbestos, nutrition deficiency or lack of exercise, and genetic factors such as family history,” said Prof. Kim Joo-hyeon at the lung cancer center of the Dongnam Institute of Radiological and Medical Sciences. The biggest risk factor is secondhand smoking. According to the Korea Institute for Health and Social Affairs, females whose husband smokes have twice the risk of lung cancer than wives of non-smokers. The risk more than triples for those whose husbands have smoked for more than 30 years. Some research suggests that secondhand smoking is more harmful than direct smoking. Family history also matters. Those who had a lung cancer patient in the family have a higher risk. The workplace where one is exposed to carcinogens and pollution also cause lung cancer in non-smokers. The World Health Organization (WHO) also picks radon as cause of lung cancer. The Environment Protection Agency in the United States says radon is responsible for 20,000 lung cancer deaths a year. “Radon is a gas without color, smell, or taste, which occurs naturally from radioactive decay of uranium in rocks. It exists everywhere, and leaks into basements of buildings. It is advised that people do ventilation at least three times a day,” said Prof. Yang Kwang-mo, head of the research center at the Dongnam Institute of Radiological and Medical Sciences. For the prevention of lung cancer, Prof. Kim stressed that quitting smoking is crucial. “About 80 to 90 percent of lung cancer can be prevented by quitting smoking. In the case of non-smokers, it is important to avoid passive smoking,” he said. “Avoid exposure to environmental harm, and ventilate often when cooking. Appropriate exercise and abundant vegetable and fruits in the diet are also helpful in the prevention of lung cancer,” he added. He added that while this is the most common cancer among Korean males aged 65 or older, the survival rate is only around 20 percent. “Early diagnosis is the best way to increase the survival rate,” he said. The professor thus recommended that those who are 55 or older, have smoked for more than 30 years, or have been exposed to environmental harm should consider getting low dose chest CT. There are 250 known harmful chemical used in tobacco smoke and at least 69 chemical causes cancer. Smoking is not only causes Lung cancer but also oral, kidney, larynx, cervix, mouth and as well as bladder cancer. There are two types of smoker first one is First hand smoke and the second one is second hand smoker. Lung cancer not only affected first one category but also Second hand smoker, Every year thousands of people are dying from lung cancer those who are not smoking and they are basically non-smoker . Cancer arising from lung tissue is called lung cancer. Normal lung tissue is a soft sponge like tissue filled with air pockets . When there is an uncontrolled and abnormal growth of cells due to genetic defect or repeated cell injury in them, cancer occurs and solid masses are formed that may clog up the Airways causing cough or breathing difficulty or erode into the supplying blood vessels and cause blood in phlegm. 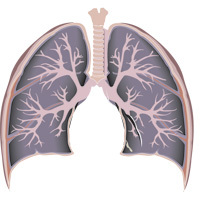 Since lung is also a common site for metastatic cancer from other sites in the body, a distinction needs to be made whether the cancer arose primarily from lung or spread to it from another primary in the body. The best way to avoid lung cancer just do simple and try to Don’t smoke, Stop smoking. Avoid secondhand smoke,Avoid carcinogens at work, Eat a diet full of fruits and vegetables,Drink alcohol in moderation, if at all,Exercise and as well as Start out slowly and continue adding more activity. We need to take very hard step to make more awareness program for every type of cancer. It’s really very hard to understand other feeling. When we love someone and we lost them from this cancer disease. Than thank you for sharing such a nice post with us. Both explanations are very nice and meaningful, lung cancer is not only the fact of smoking chain. There are many other factors for this. Really Like it…. I really liked this information and I will share it with my friends, really awesome information I have gotten here.